In 2005 COPROCA S.A. created a collection of alpaca wool garments to promote the sale of alpaca fleece and to generate jobs for its handcrafters. This experience is currently a great success that is still producing new initiatives. The initiative to teach fashion and design principles to Bolivian artisans for them to create garments that compete in the international marketplace arose first from KANTATI, an association of artisans who were clients of COPROCA. The former suggested that COPROCA become associated with ESVALONA, a Swedish company, to provide training aimed at Bolivian artisans. At that time, the goal was to change the way producers of low-priced, poorly finished garments saw things so that they could create clothing that would take fashion into account as well as international market quality standards. 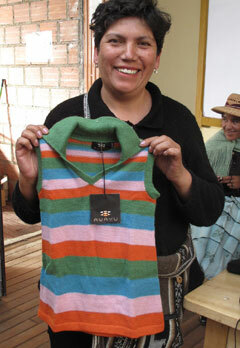 This was done, and in 2005 400 artisans received training in textile design. At first, the idea was to simply provide training sessions, but in order to really generate jobs it was actually necessary not only to conceive of new, fashionable articles, but also to produce and sell them. Therefore, it was decided to create a clothing collection and promote it in the international marketplace. At the end of 2005, the collection was produced using designs created by the artisans themselves. After conveying her knowledge, Maria Eld, a designer from ESVALONA, also took charge of promoting the collection for sale abroad. While the initial idea was only to train artisans, it became much more ambitious, and currently the AWAYU supports more than 200 women’s hands and creativity. Alicia Paredes, the person responsible for the collection, has been involved from the beginning. 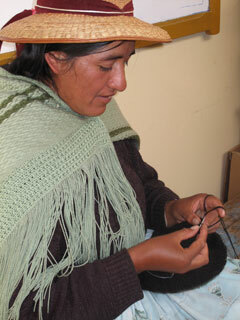 She never stops seeking new clients in order to provide work for her artisans. Company policy is to pay a fair price to the artisans, and therefore it rejects potential clients who want prices that are two low. The work of people, who participate in both the design process to create clothing and its manufacture and sales policy, is valued here. Thanks to this method of participatory operations which respects the worker, each day more artisans approach AWAYU seeking to join the association. In addition, there is a great deal of pleasant coexistence; the artisans get together in small groups twice a week to work together and exchange ideas. Besides letting them get together and share experiences, these meetings are useful for the artisans who often are women in sole support of their homes, so they can work at home and run their business as is most convenient. Frequently there are meetings for the women to get together and enjoy time together, where they can tell their stories. Working for AWAYU is like working with the family; it is not a place where the worker is looked upon as a machine that must produce for the least cost. Caserita.com provides great support for this enterprise; for example, right after the end of the year when there is less work, Caserita.com orders garments for the winter collection to provide work during this slow season. The AWAYU collection is rather expensive since it is made exclusively of alpaca wool, and it has a lot of competition in Bolivia. 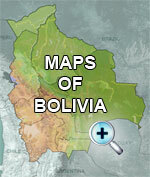 Therefore, the association mostly exports its products. 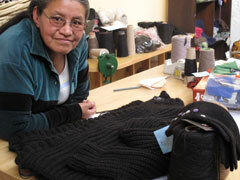 Since there are always more artisans looking for work, AWAYU is constantly seeking new markets. Once the artisans are trained, they also take the initiative to create their own garments as well as creating their own companies, as is the case with Patricia Palle.